Use the site http://viaggiacon.atac.roma.it/index.html?language=eng to "calculate your route" with public transports. A social dinner is organised for the evening of the 28th in a typical roman trattoria: Lo Scopettaro Lungotevere Testaccio n.7 (close to the crossing with via Marmorata. 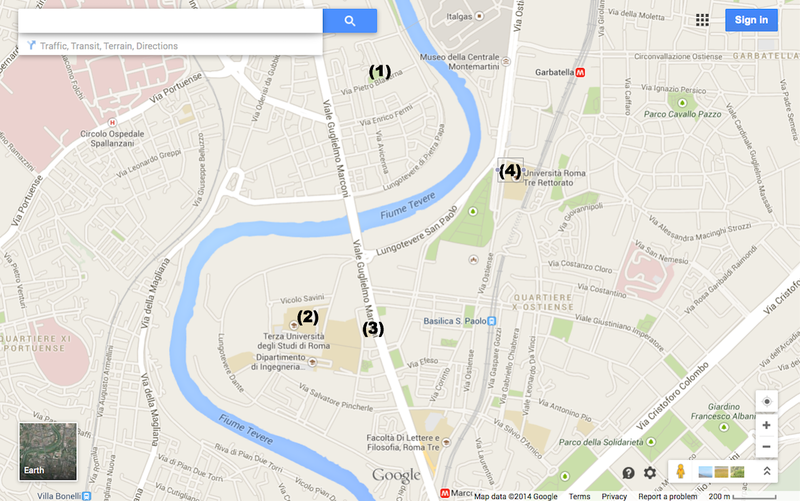 You can reach it by bus with n.23 (viale Marconi & via Ostiense) or n.170 (viale Marconi).